defined the southern-most limit of Egypt. Trajan's Kiosk is one of the largest ancient monuments standing today on the island. Constructed by the Roman Emperor, Trajan, its four by five columns each carry different, lavishly structured capitals. This beautiful building was where the sacred barge with the statue of Isis landed during its annual precession down the Nile River. 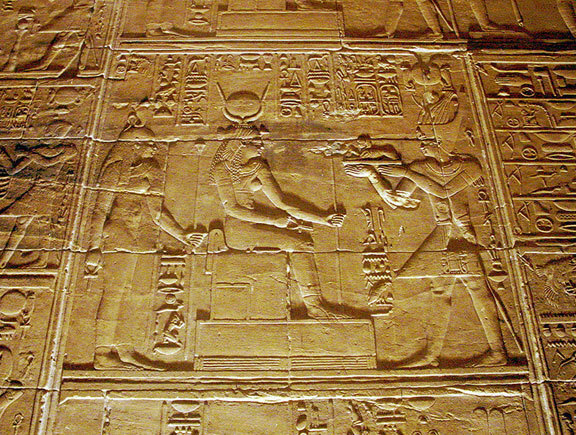 The Egyptian island of Philae was the center for worship of the goddess Isis. 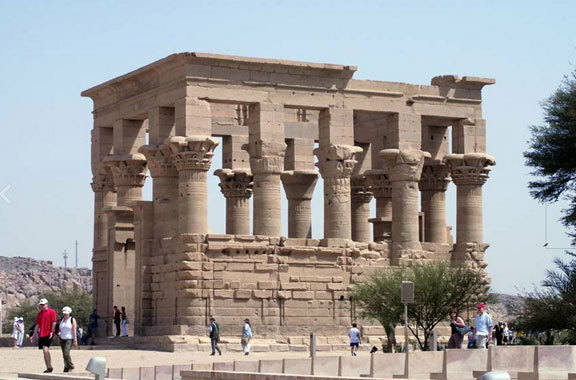 The largest and most important temple on Philae is the great Temple of Isis, which was built between 370 BC and 305 AD. 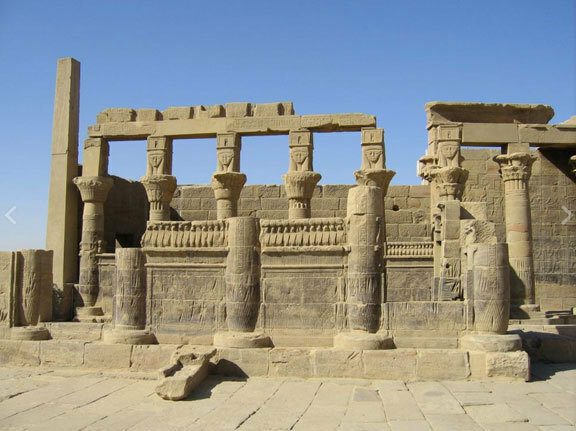 The temple was moved to its current location following the construction of the Aswan High Dam, which caused the original island to be completely submerged under the waters of Lake Nasser. 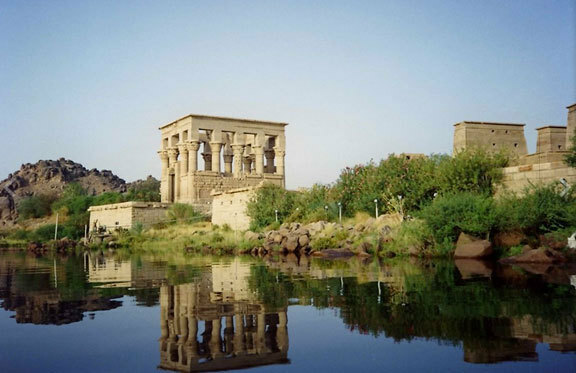 But in a spectacular rescue operation, the great temples and monuments of Philae were pulled out of the water and re-erected on a nearby island, now renamed Philae. The complex contains all the elements of ancient Egyptian history, with Egyptian, Greek and Roman architecture blending together. 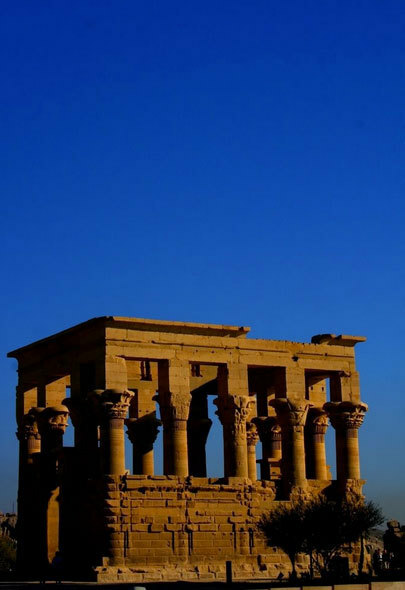 A visit to the Temple of Isis at Philae. 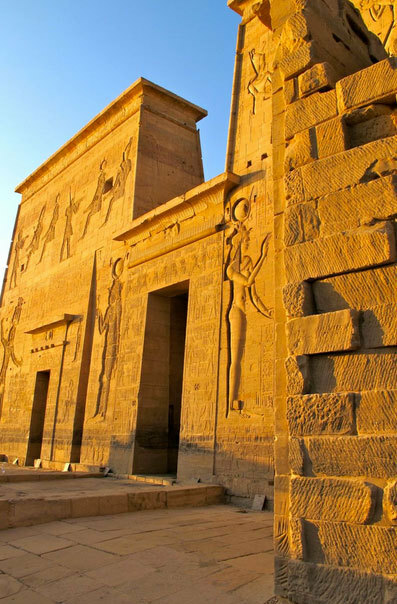 Take a walk through the temple grounds of Philae.